DANG, Nov 29: As Nepal Sanskrit University in Dang district prepares to lease its 200 bigha of land to Swami Ramdev's Patanjali Ayurved Ltd, locals who had donated their land to the university in hopes of contributing to the development of education sector have expressed serious objection regarding the decision. Patanjali Ayurved Ltd has reportedly made lots of promises to the university to acquire the land at a low rate. 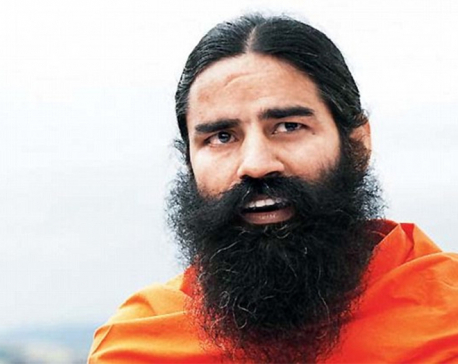 Ramdev has proposed to develop the area into a commercial ayurvedic farm and also to open an ayurvedic campus. Amid controversy, the university is preparing to accept Ramdev's proposal and provide the land for 40 years for peanuts, at just Rs 10,000 per bigha annually. 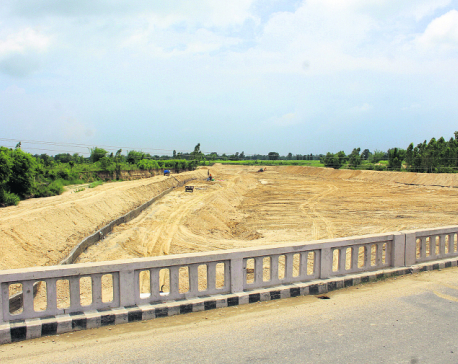 The university has been currently leasing its other lands at Rs 17,000 per bigha per annum. The decision to lease the land at the below par rate has come under severe scrutiny from all sector. All the lands belonging to the university were donated by the locals. Now as the university prepares to bow down to Ramdev's demand, they have now expressed deep regrets over their generous donation to the university. "Many families donated their lands to the university sacrificing their personal interests. All these donations were done in hopes of the welfare of the education sector and the university. But they are now trying to misuse the land instead," said Dev Mani Devkota, a local of Bijauri, who had earlier urged the locals to donate their lands for the university. With his sole initiative, he had managed to convince the locals to donate 98 bighas of land for the university. Expressing disappointment, Devkota further said the deal with Patanjali Ayurved Ltd would benefit none except the Indian businessman Ramdev himself. "Patanjali will work only to benefit its country. What could be more tragic for us than the university accepting the deal?" Another local donor, Binay Pokharel, also criticized the university authorities saying that they are making a mockery of the generous donations made by the locals. His family had donated nearly 100 bigha of land to the university. "The land which we donated is not being utilized well. The university should bring projects to make proper utilization of the land instead of leasing it to foreign investors." Similarly, another local Shiva Prasad Upadhyay had donated 200 bigha of land to the university in 2011. He too is disappointed after seeing the current status of the university. He said extreme politics within the university had led to this situation.